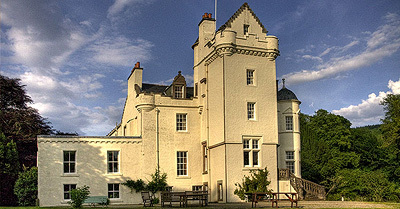 Set within 1500 acres of pasture and woodland on the east side of Loch Fyne, Castle Lachlan is the principal residence of the Maclachlan chiefs, Barons of Strathlachlan since 1680. The clan’s founder was Lachlan Mor, a 13th-century chief of royal Irish descent. He is reputed to have lived in the old Castle Lachlan, which was later shelled by a Government ship during the Jacobite uprisings, the old castle’s ruins are a 10-minute walk away. The present castle dates from the 18th century and was substantially reconstructed in the late 19th century as a modern Baronial seat, with a tower, grand hallway and elegant period furnishings. It is currently divided into two, with the grander southern half available for visitors, and the family still resident in the northern half. 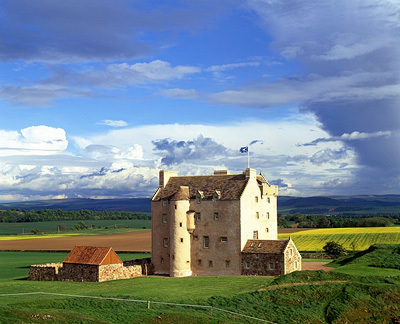 Castle Lachlan has been a popular location for television and film. 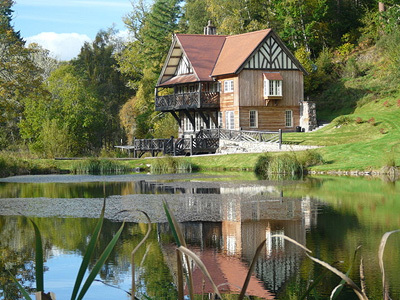 Perched on the edge of a lochan near the historic fishing village of Avoch on the Black Isle, the Boat House is an oak-framed, cantilevered Edwardian cottage with Rosemary tiles and half-timbered gables in the rather English Arts and Crafts style of the Rosehaugh estate. 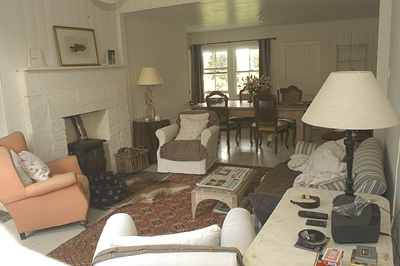 Recently renovated, the old boat storage area is now a double bedroom overlooking the nearby Goose Burn, while the sitting room’s original fireplace has been preserved. The main house was demolished in 1959, but its extensive grounds are well maintained, with the original estate buildings still to be seen, along with kites, deer, osprey and red squirrels. Other buildings that have been converted for holiday lets are the former laundry, built about 1900 in English Arts and Crafts style (now called Red Kite House, with various apartments sleeping 10, 6 and 4); and Otter Lodge (by the burn, sleeping 4). In Samuel Johnson’s words, Auchinleck House is a ‘modern mansion…of hewn stone, very stately and durable’. 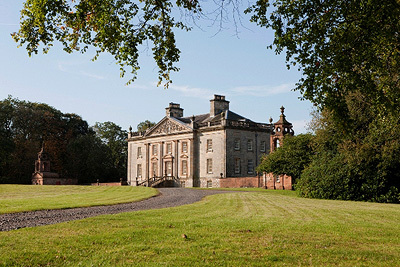 Built in 1755 by James Boswell’s father, the 8th Laird of Auchinleck, the house was designed to be both the administrative centre of a large estate and a secluded villa rustica. The exterior combines Classical purity in the main elevation with Baroque exuberance in the pavilions and the elaborately carved pediment, which bears a Latin inscription translated as ‘what you seek is here’. The interior of the house has been rescued from dereliction by the Landmark Trust and restored in a period style, a highlight of which is the Rococo plasterwork to the ceiling and buffet niche in the dining room. The library, now repainted in dark red and hung with 18th-century portraits, was the scene of the famous argument over politics and the church in 1773 between Dr Johnson and Lord Auchinleck (James Boswell’s father). 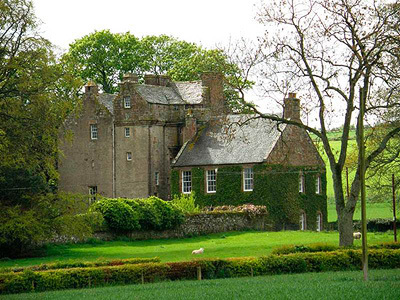 Dating from circa 1500, Liberton Tower is an exceptionally complete four storey, square plan keep. Restored by the Castles of Scotland Preservation Trust, and now available to let through the Vivat Trust, it preserves its original chamfered loop windows, vaulted kitchen and oak-beamed great hall. The parapet walkway, accessible through the box bedroom, offers a splendid panorama of Edinburgh to the south. Entrance is via a recreation of the external oak staircase that could be detached in case of attack. Once owned by William Little, Provost of Edinburgh, the tower is said to be haunted by the ghost of a woman of Little’s family who was imprisoned for aiding the Covenanters. 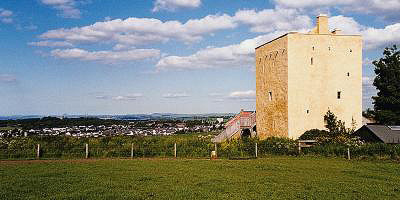 Rising from a rocky bluff in the middle of farmland and visible from Edinburgh to the east, Fenton Tower’s main structure dates to circa 1570, though a fortified tower has probably occupied the site since the 12th century. To the north is a medieval burial ground and one of the earliest Christian chapels in Scotland. In 1591, King James VI took refuge in the tower after escaping from a rebel army in Fife. The tower was sacked by Oliver Cromwell in 1650, and remained a ruin until 2000, when its present owner Ian Simpson undertook its restoration with the help of a grant from Historic Scotland. The tower house has now regained its wall walk parapet, with bartizans and views of the distant Lammermuir Hills, as well as its first roof for 250 years. It is now more stylishly decorated and luxuriously furnished than ever in its past, with furnishings that include a 19th-century Italian four-poster in silver gilt, a canopy bathing box and a refectory table made of walnut timbers salvaged from a French château. In splendid isolation on the windswept shores of the north-west Highlands, Callakille is a recently restored traditional whitewashed stone croft house. 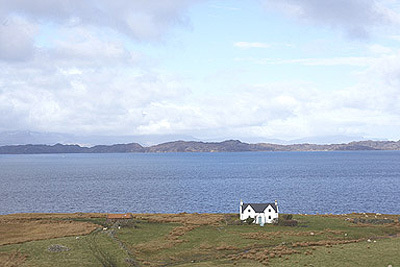 The nearest village, Applecross, is eight miles away. The house itself is only accessible by driving through the infamous Pass of the Cattle or Bealach na Ba, a single-track drovers’ road which zigzags up to more than 2,000 feet above sea level. 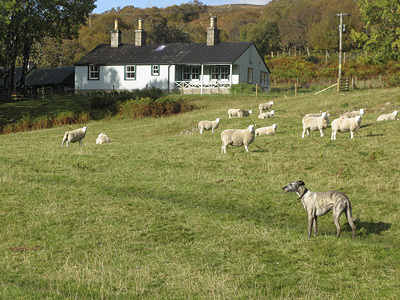 Fields grazed by the local crofters’ sheep and cattle stretch away to the east of the house, while the rocky seashore runs 50 yards to the west, with views of Rona, Raasay and Skye, as well as of fishing boats and, if you’re lucky, whales and sea eagles. The interior of the house balances vintage and modern furnishings, with weathered leather furniture and original panelling that’s been stripped of layers of wallpaper to reveal a carpenter’s name scored into the wood. A nearby burn supplies the house with water. Situated on the southern shore of Loch Ness, Aldourie is a Victorian country house in the romantic turreted and towered Scots Baronial style that gives it the appearance of a fairytale castle. The subject of a recent award-winning restoration, it has been redecorated and furnished to exemplary standards, making it one of the most luxurious country houses to rent in Scotland. 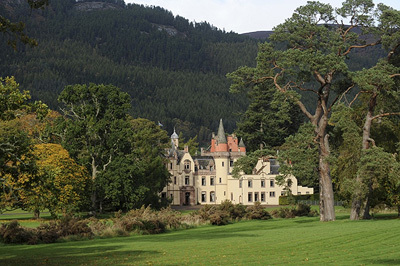 Aldourie dates back to the 17th century, but it was remodelled and greatly enlarged in the 19th century for the Fraser-Tytler family, who owned it until the 1940s. In 1902-3, Sir Robert Lorimer added an Arts-and-Crafts wing. One famous daughter of Aldourie was the artist Mary Seton Fraser-Tytler (1849-1938), who married the leading Victorian artist G F Watts. 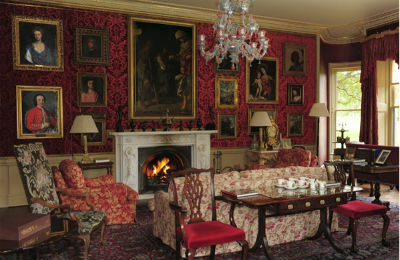 The present owner has amassed an impressive collection of their art, and also many fine Old Masters to hang in the sumptuous drawing room and other principal rooms. The house and estate are available for private house parties, as well as other events, on an exclusive basis. Inverness is just five miles away and the airport is a 30 minute-drive. Activities are numerous-fishing, golf, boating and shooting can be arranged, and the surrounding countryside is ideal for cycling and walking. There are also many historic sites nearby, and, of course, Loch Ness, with its legendary monster. 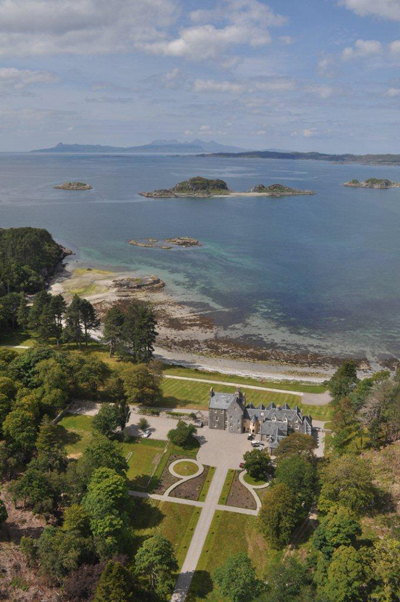 Built and landscaped in 1740 by the Earl of Galloway, Galloway House Estate covers 600 acres of gorgeous countryside and coastline and is now organically farmed. 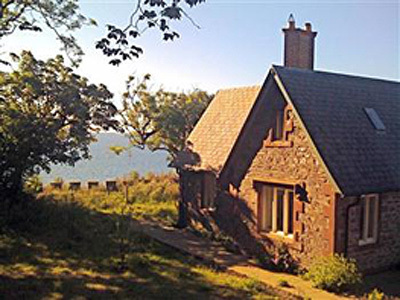 Cruggleton Lodge is a beautifully restored Georgian lodge set on a cliff top with stunning views out to sea. It is stylishly furnished with a mixture of antiques and contemporary pieces and is made cosy by a wood burning fire and an Aga. On arrival, guests will find a complimentary hamper from the local deli awaiting them. Golf courses and tennis courts are nearby, and there are lots of opportunities for walking and fishing. A sandy beach is within walking distance, as are the ruins of Cruggleton Castle. Three other holiday cottages are also available. This vibrantly painted blue cabin is no less colourful inside; it’s stylishly decorated and furnished while retaining a real seaside feel. Built in the 1920s as a holiday cabin, its grassy bank leads straight down to the beach. 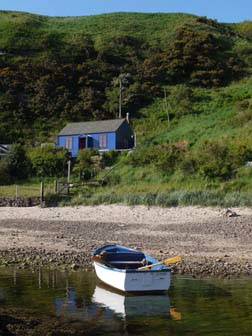 The Blue Cabin is only accessible through a rock-cut former smugglers’ tunnel or across a beach by foot. Cove Harbour is a pretty, privately managed harbour that is frequently used as a film location. There are excellent local walks nearby as well as plenty of opportunities for boat trips, sea angling, rock pooling, swimming and birdwatching. The owners of the mail order firm Pedlars-which sells quirky homeware-have redecorated and refurbished Balbegno Castle and kitted it out with lots of gear from the Pedlars catalogue. The castle, which dates from the 1560s, has a Georgian wing and a famous great hall with an unusual heraldic vaulted ceiling. A 45-minute drive from both Aberdeen and Dundee airports, and within striking distance of both the Highlands and the Kincardineshire coast, Balbegno is a wonderful place for a Scottish holiday. Guests have near exclusive access to Fasque Lake, an eight-hectare ornamental lake with three islands, a rowing boat and lots of trout to fish. Twenty minutes away at St Cyrus is a spectacular isolated beach with miles of sand. Shooting, stalking and river fishing can all be arranged. Built around 1900 as a fishing lodge to Borrobol estate, with former stables, carriage house and bothy alongside, this corrugated iron and timber house is situated just above the River Helmsdale. Its painted, wood-lined interior is comfortably and stylishly furnished and decorated with artistic junk shop finds by its owner, who is an artist. There can be few houses in Britain with a more romantic setting: the front doorway frames a view of the Hebridean Small Isles: Eigg, Muck and Rum-one of the great views of the Western seaboard-while behind rises the mighty peak of Rois Bheinn, from which Roshven takes its name.  The house stands on a secluded bay with a sweep of sandy beach and a small island offshore. Originally a simple Georgian laird’s house dated 1782, Roshven was enlarged in the 1850s by the Glasgow professor Hugh Blackburn, who bought the estate in 1854. His artist wife, Jemima Blackburn, was a gifted painter of birds and animals, who impressed the likes of Landseer, Ruskin and Millais. Her legacy at and around Roshven includes murals, naturalistic carvings, stained glass and a collection of wonderful paintings that the present owner has bought and returned to the house. 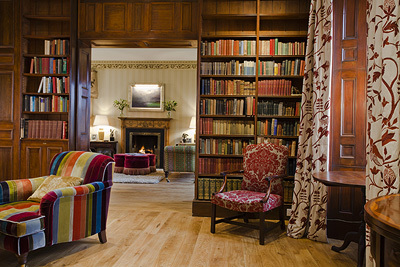 The Blackburns commissioned the famous Victorian architect David Bryce to remodel the house in a Scots Baronial style. Since buying Roshven in 2007, Angus and Michie Macdonald have carried out an outstanding restoration (the house had become virtually derelict) and redecoration, and Michie has redesigned the garden.